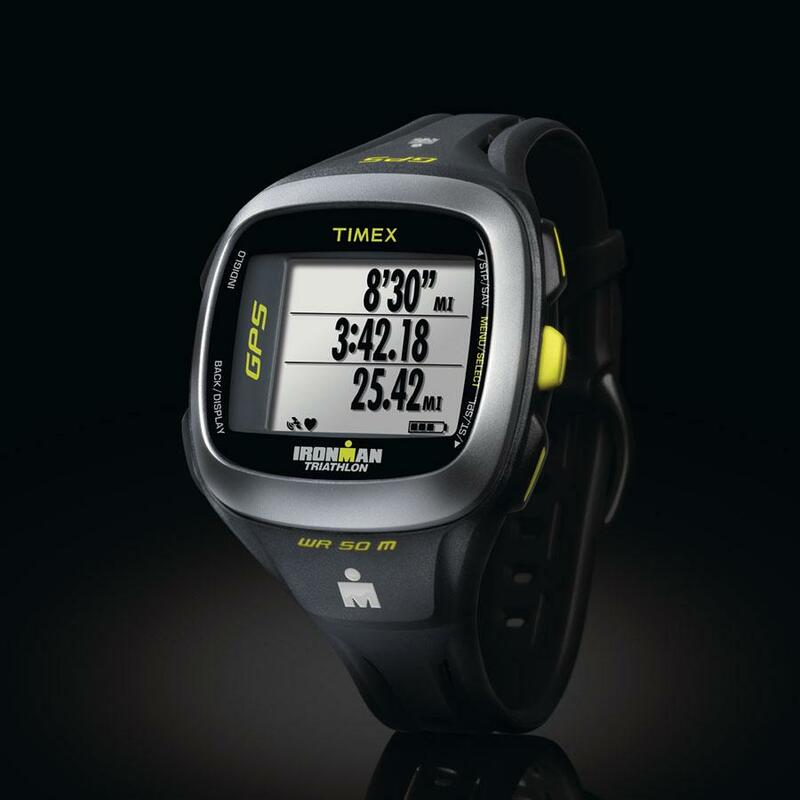 The newest device in the Timex Ironman Run Trainer series fits more features into a smaller watch. Some of the best features of the Run Trainer 2.0 are the improved menu structure, an 8 hour battery life, a 15 lap memory, easy-to-read display with metrics that you can personalize, vibration alerts, interval timers, an auto-lap feature, eating and drinking alerts, and ANT+ sensor compatibility. This is a great watch for beginners because it is simple to use and easy to understand. However, because of its many advanced features, it will also work well for more advanced runners. 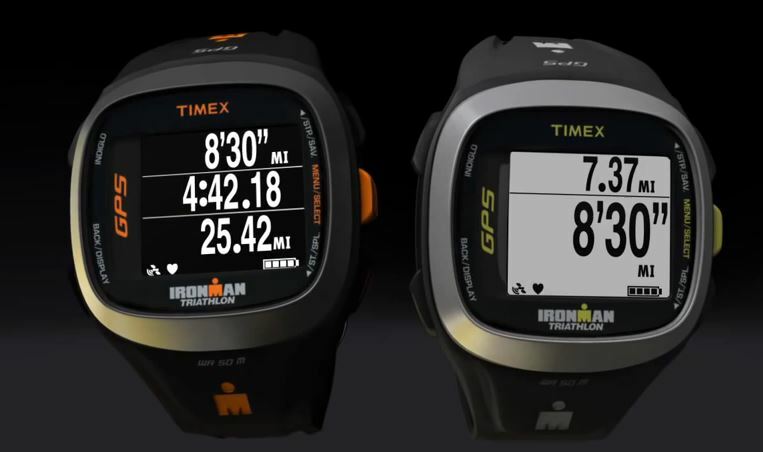 Unlike some GPS watches that have confusing menus that only show the parameters they’re programmed to show you, the Ironman Run Trainer 2.0 has simple menus where you can easily change which metrics show up on your display as you’re running. The display is also easy to read, which is a huge benefit for checking it quickly when you’re on the run. You can reverse the display colors and decide which is easier for you to see, and each page of parameters only shows the two or three that you choose, so once you know where you want things, it’s easy to check them without having to slow down to scroll through menus. There are a few other features that will help keep you moving, such as the auto lap feature. With auto lap, you set a specific time or distance interval and the watch automatically marks the end of each lap, whether it’s every 15 minutes or every mile. You can also set the watch to automatically pause recording if your pace drops below a certain point. This is particularly great for those who run in cities and have to stop for traffic lights. You can also get various alerts, either audible or vibrations, depending on your preferences. Some of these alerts will remind you when it’s time to take a drink or eat something, as well as alerts if you fall outside of certain pre-set zones. For example, you can pre-set your watch if you start going slower than a certain pace or if your heart rate elevates beyond a certain point. This helps you work hard enough during your run without working too hard. And because you can program different sounds for different alerts, you’ll always know why your watch is beeping without having to look down. Another awesome feature of the Timex Ironman Run Trainer 2.0 is that it has a feature where you can program a workout and then follow it. You can set up certain speeds and program up to 6 different segments. 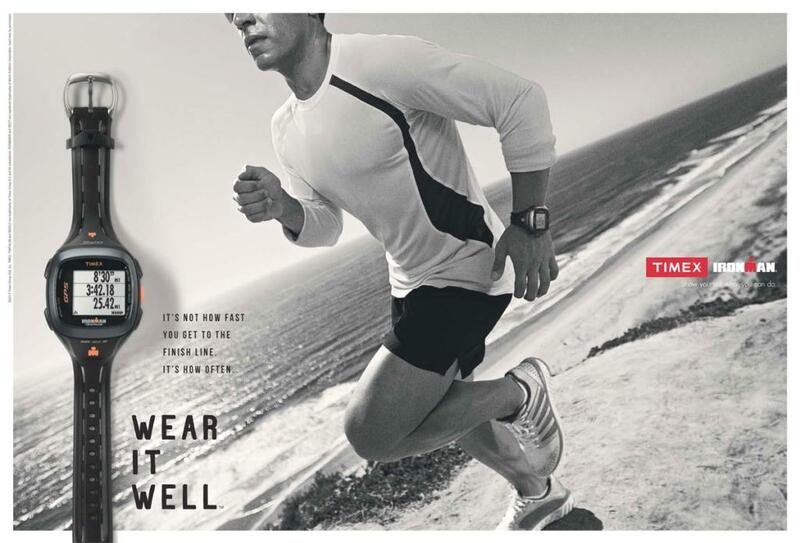 The watch will keep you in the proper training zones with its alerts as it moves you through the different intervals. This is a great feature for people who want to push themselves harder. After your run, you can plug the Run Trainer 2.0 into your computer and upload all of your running data. Because these files are saved as .FIT files, they work with a number of different online training logs, especially Training Peaks, but it will also sync with MapMyFitness, Endomondo, and Strava. You can also more easily change some of the watch’s settings when it is plugged into the computer. Having access to a good online training program is easily the most important use of any sports or running watch as it logs all of your training information. This way, you can set personal goals and make sure you’re reaching them. If your goal is to run more often, keeping a digital training log will help keep you motivated to get out there, especially if you lapse a bit and see that big blank space in your training log. If your goals are to run faster or be a better runner, then you can easily see how fast you run at different points in your run and you can make improvements from there. Many of the online training logs include access to downloadable workouts or let you talk to other runners to get ideas of how to improve your running. If your goal is simply better overall physical fitness, then having a log of your heart rate data is a good way to make sure you’re continuing to improve. Some of the graphs and charts provided for you by these online training tools are your speed, heart rate, cadence, and peak pace. With Training Peaks, you also get access to their mobile app and calendar on your smart phone. 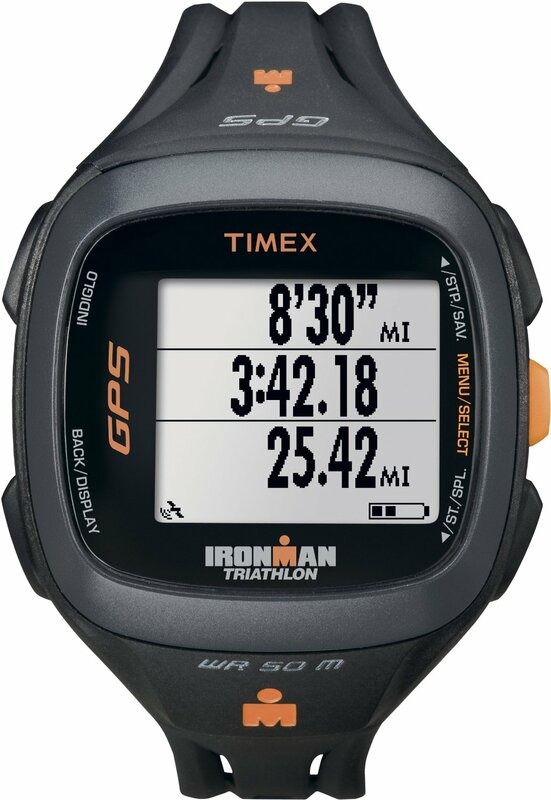 The Training Peaks program is a basic training log that comes free with your Timex Ironman Run Trainer 2.0, but you do have the option of upgrading to the premium edition which gives you access to thousands of running, cycling, or triathlon training plans as well as daily emails containing personalized workout plans, and the ability to see your data in a much more detailed way. Infused with GPS technology, the Ironman Run Trainer 2.0 gives you the most accurate readings of distance and pace. And when you upload all of your training information, you will also get to see a map of where you went on your run. This is a great way to really see how you’ve improved as you run farther and faster each time. Because of the smaller size of the Run Trainer 2.0, it fits much more comfortably on all wrists, including women’s wrists. This is great news for female runners that have had a hard time in the past finding a GPS watch that was advanced enough to give them what they needed but small and light enough that they could actually wear it comfortably during their entire run. The Ironman Run Trainer 2.0 is also water resistant, which means you don’t have to worry about sweat or if you get caught in the rain. Tracking your heart rate while running is important for tracking your overall physical health. You can purchase a heart rate monitor with the Run Trainer 2.0, or use an ANT+ compatible one that you already have. You can also connect the watch to an ANT+ compatible food pod, which will help keep track of your cadence. Overall, this is a great little watch that can do big things and is recommended for beginning runners and advanced runners alike. This entry was posted in Garmin GPS Running Watch and tagged Timex Ironman Run Trainer 2.0 GPS Watch.